Last week was Negroni week—a week of Negronis, Negroni variations, and charity brought to you by Imbibe and Campari. Bars across the United States that participate in Negroni week donate a portion of their proceeds to a charity of their choice. Negroni week is a wonderful reason to drink up and give back. I recently got married on May 30th and gave out some awesome wedding favors. 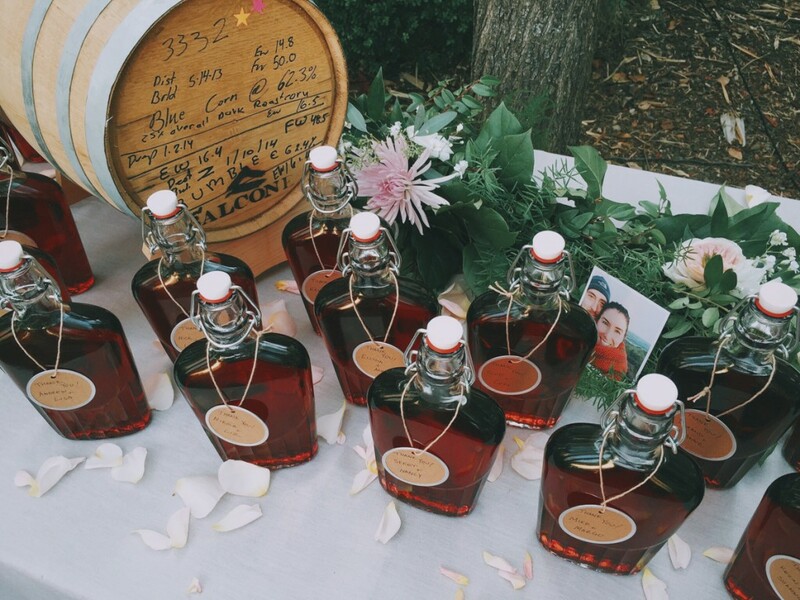 At the last wedding I attended the couple gave out bottles of craft beer the groom had brewed. It was a great wedding favor. It was nice because you knew that there was some thought and time put into this DIY gift. And who doesn’t want free beer? I didn’t want to do a cheesy favor like engraved glasses or pens or chocolates. I knew I wanted to make something. Since I have been doing this cocktail blog I have been reading anything and everything about cocktails. Recently I came across a blog post on Jeffrey Morgenthaler’s site about barrel-aged cocktails. I instantly knew what I had to make: barrel-aged Negronis. The next thing you know I was dumping bottle after bottle of booze into a whiskey barrel, eight and a half weeks before my wedding. 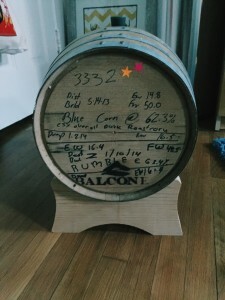 I purchased a five-gallon whiskey barrel from homebrewing.com. The directions that came with the barrel said to fill it with 140 to 185 degree water for six hours before filling it with wort. I knew that you need to fill the barrel with water to allow the wood to swell up so there are no leaks, but for liquor I’m guessing it didn’t need to be heated. I chose to heat it with the idea that it would help the wood to swell and to help clean out anything bad that was inside the barrel. I bought four 1.75 liters of Beefeater gin, seven liters of Cinzano Rosso sweet vermouth, and nine 750 ml bottles of Campari. I have bought a lot of booze in my day. I have drunk a lot of booze in my day. But I have never bought a lot of booze, poured it into a barrel and forgot about it for over a month. I poured all the booze into a five-gallon water jug first to mix everything and then siphoned as much as I could into the barrel. The siphon didn’t reach the bottom of the jug so I had to pour the rest into the barrel with the funnel. I would recommend starting with a smaller barrel to try things out and see how you like it instead of jumping into the five-gallon or larger barrels. I recently bought a three-liter barrel to do just that. 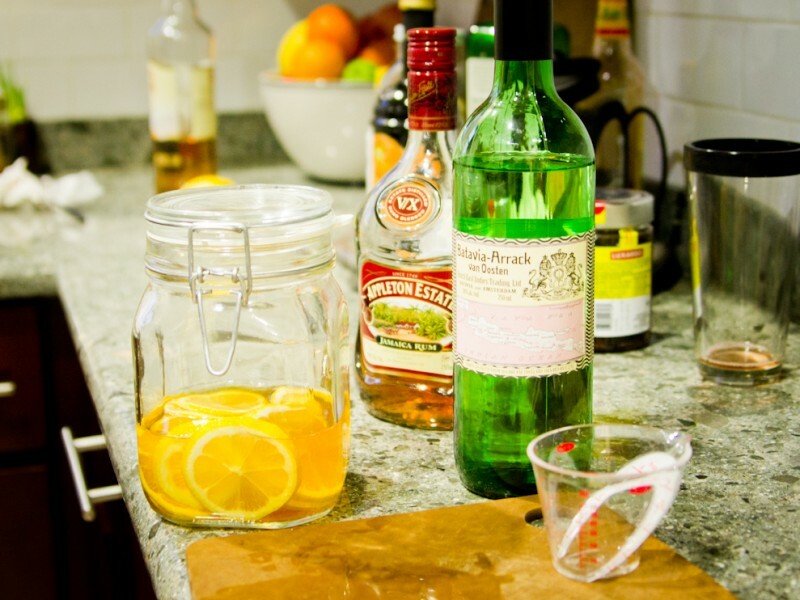 Jeffrey Morgenthaler advises letting the Negroni sit for five to seven weeks. Living in an apartment I didn’t really have too many places to put a barrel for that long so I decided on the tub. We’re having a bit of a drought here in California so the tub is a no-no. Besides, unless you’re a small kid who uses a tub anyway? So there it sat for about five weeks before I tasted it. It tasted like a Negroni all right but it had coalesced into something more. After obtaining official approval from my taste buds I let the Negroni sit for another two weeks. After week seven it was bottling time. I strained the Negroni, and then used a siphon and a bottle filler to fill up 34 500ml flask swing top bottles, two 750 ml bottles, and maybe three-quarters of another flask. For the wedding we made little labels for each of the guests with a bottle number and instructions for the drink. The instructions were to stir three ounces of Negroni and strain over ice. Simple. We served the Negronis at the wedding as well for people who had never had one so that they would know what they were getting into. All in all the wedding favors were a hit. 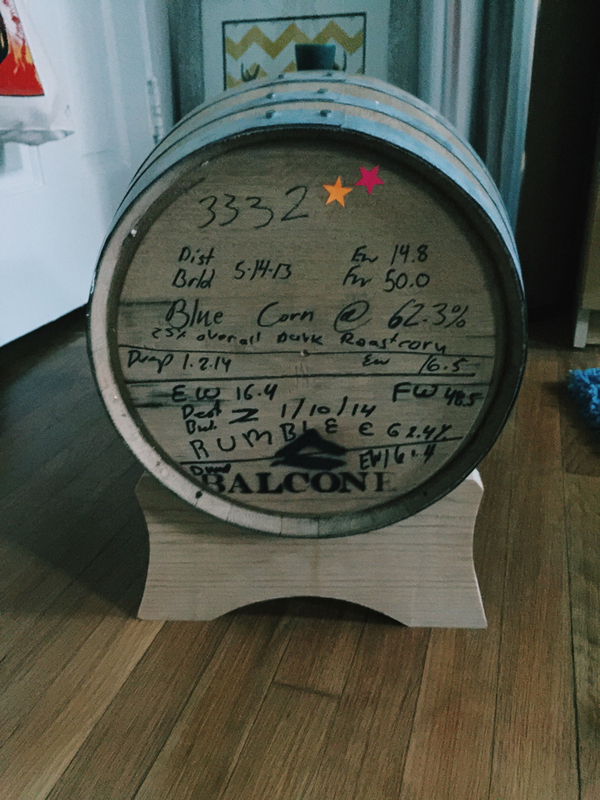 Thank you Jeffrey Morgenthaler for the help and to my lovely wife who, when I brought up the idea of barrel-aged cocktails as a wedding favor said, “Okay, but isn’t five gallons too much?” It was just right. Brian Christie envisions a future where all cocktails are made with natural ingredients and love, where hangovers don’t exist, and where everyone wants to experiment, explore, and enjoy life. As a grip/dolly grip, he’s worked on such shows as The O.C., Heroes, Iron Man 2, Gangster Squad, Horrible Bosses 2, Agents of Shield, and most recently Batman v Superman: Dawn of Justice. When not on set, he can be found traveling the world in search of new experiences and cocktails. His exploits include drinks in Los Angeles, Tokyo, Chicago, Rio de Janeiro, Muskegon, Munich, Boise, Prague, Phoenix, Dublin, San Francisco, Amsterdam, Sydney, and most recently Edinburgh.